Beaches… Temples …. Sea forts… KonkaniCuisine & Many More. Day 1 : Departure from Pune to Murud Janjira. (165 Kms/4 Hrs.) Breakfast at Mulshi, Arrival at Dighi Jetty, Visit Janjira Fort, Experience the Boat travel, Visit Fort Monuments 3 gigantic cannons named Kalalbangdi, Chavri and LandaKasam, palaces, quarters for officers, mosque, two small 60-foot-deep (18 m) natural fresh water lakes. Proceed to Diveagar. Hotel Check in. Lunch Visit Shri Ganesh Temple. 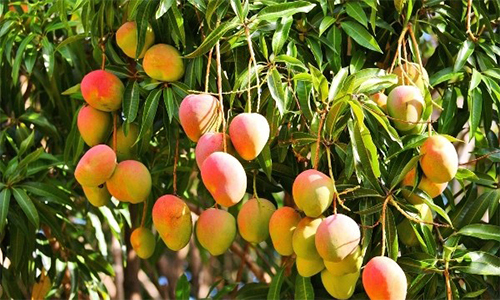 Land of Golden Ganesh.in the 1998 Golden Ganesh was found in a farm land on the evening of SankashtiChaturthi. This statue is was made in 10th Century. Now that statue is stolen in the year 2012 but we can now see the silver statue in the same temple. Overnight stay at Diveagar. Day 2 : After breakfast, proceed to Shrivardhan. (20 Kms/1 Hr.) Visit to the memorial of ShrimantBajiraoPeshwa. Durgadevitemple. Proceed to Harihareshwar (23 Kms/1 Hrs.) Visit DakshinKashiTemple,& Temple of KaalBhairav. To complete the Pradakshina to lord Shiva you have complete the Pradakshina to entire mountain or hill. Proceed to Kelshi by Ferry Boat. Experience the Ferry Boat in Bankot Experience. 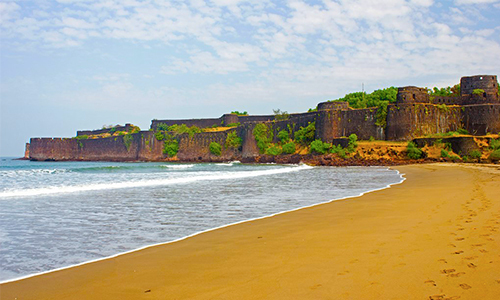 You can take a panoramic view of Bankotriver&Bankot Fort. 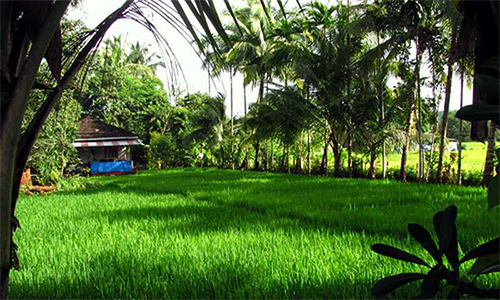 It is a historical place because it was the first residency in the Southern part of Konkan coast of British. Hotel check in. Lunch.On evening take a visit to Mahalaxmitemple &YakubBaba Durgah. 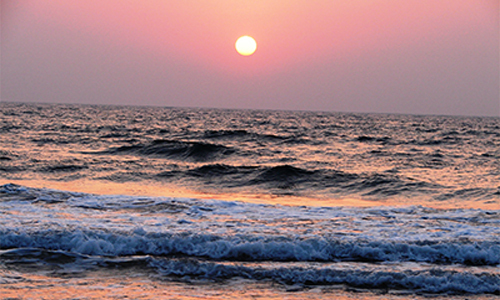 Evening free at cool &calm Kelashi Beach.Overnight stay at Murud-Harnai. Day 3 : After breakfast proceed to Kadyavarcha Ganpati. Visit temple & foot prints of Lord Ganesha. 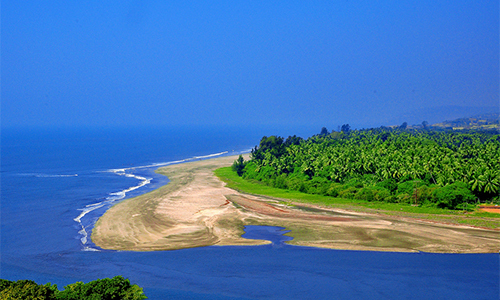 Here you can take a panoramic view of Suvarnadurgafort &Harnaibeach. 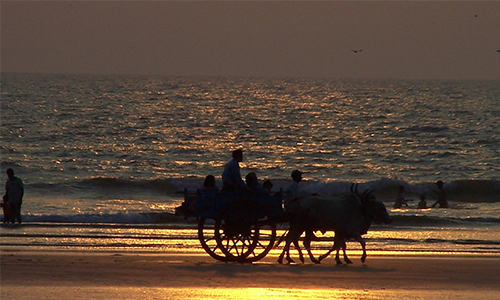 Proceed to Guhagar via Kolthare – Tamastirth - Panch nadi - Chnadika - Dabhol Jetty. Shahi Masjid is an excellent example of Muslim architecture. There is a fine mosque called Shahi Masjid with dome and minarets standing close to the port which was built in Adilshah’s Regime by Aisha Bibi in 1659-60 by the builder Kamil Khan. From Dabhol, travel through ferry boat in Dabhol Creek. (Vashisthi River) Take a view of Veldur – Gopalgad – Anjanwel. 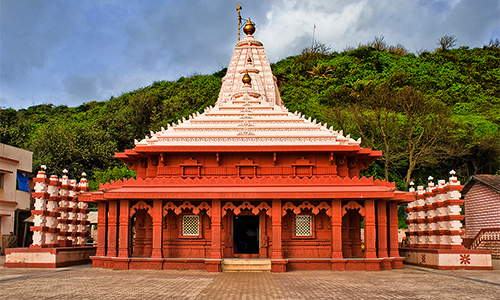 This location is also known as Enron Prakalpa now as Ratnagiri Power.Visit Vyadeshar&Durgadevitemple. Proceed to visit Velaneshwar &Hedavi via ascenic Konkan village Palshet. . Visit Dashbhujatemple and BamanGhal . Proceed to Ganpatipule (60 Kms / 3 Hrs.) Enjoy a ferry boat ride in Jaigad Creek. Visit JSW Vinayaktemple. Proceed to Ganpatipule. Check in at hotel. Evening free at Ganpatipule.Overnight stay at Ganpatipule. Day 4 : Morning Visit to famous temple of Lord Ganesh. 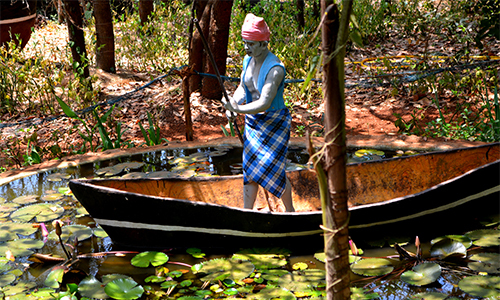 Sightseeing covering exhibition named as Prachin Kokan, Malgund a native place of famous poet Keshavsut, Memorial of Keshavsut. Lunch and proceed to Ratnagiri (30 kms) Visit Bhagvati fort, Thiba Palace, house of LokmanyaTilak. Proceed to Pawas (13 kms) and visit to Swami Swarupanand Ashram. Overnight Stay at Ganeshgule. Day 5 : After breakfast proceed to Vijaydurga. Via Purnagad. En route visit KasheliKanakaditya Temple &Devghali Beach. Visit Vijaydurga Fort. Lunch. Visit Girye’s ancient Rameshwar Temple & Kunkeshwar Temple. Evening arrival at Tarkarli.Overnight stay at Tarkarli. 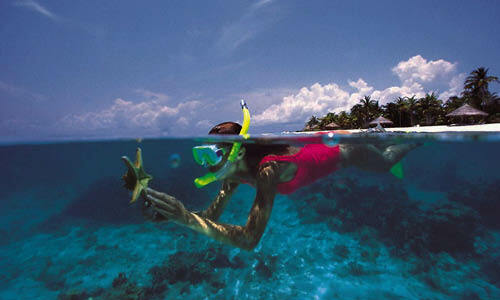 Day 6 : Morning Enjoy a bird watching, Back water ride, Snorkelling, Back water ride & other activities at Devbagh. Lunch Evening visit Sindhudurg Fort. Overnight stay at Tarkarli. Day 7 : After breakfast proceed to Kolhapur. 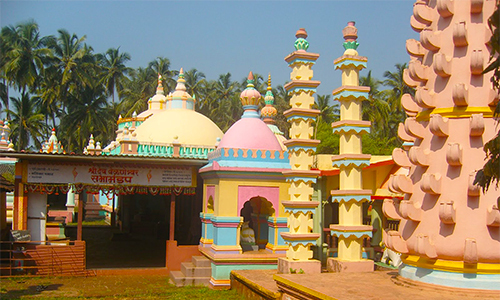 Shri Mahalaxmitemple. 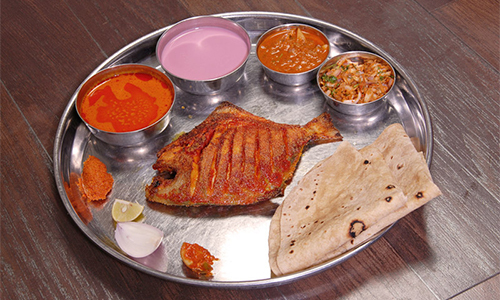 Taste the best of Kolhapur TambadaRassa – PandharaRassa. Evening arrival at Pune. 6th day lunch cost will be reimbursed, if you choose scuba or other sport activity. You can enjoy full time beach, if you not take other sight seen. Transport with own cost.